Racist actions or not? 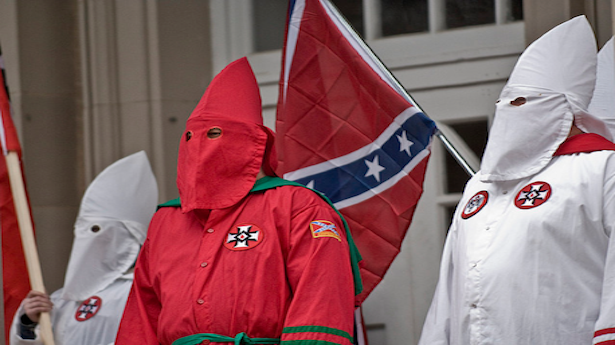 Why the KKK attire? They have a right to protest. Why not show their faces? If you have deep beliefs, why hide who you are? Why use racist attire? What do you think? Posted on October 17, 2013, in confederate flag, racism, Uncategorized. Bookmark the permalink. Comments Off on Racist actions or not? Why the KKK attire?.